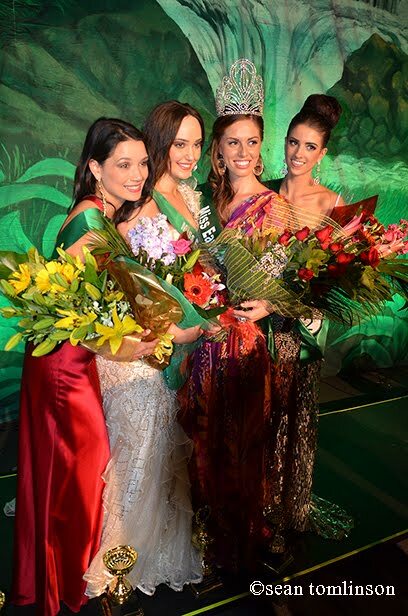 20 year old Deedee Zibara from West Ryde was crowned as the new Miss Earth Australia 2011 last November 4. She was also received the Best in Swimsuit and Best in Talent awards. Standing 178cm tall, Deedee Zibara will represent Australia in Miss Earth 2011 pageant on December 3 in Manila, Philippines. Crowned as Miss Air Australia 2011 was Charlotte Mastin. Miss Water Australia 2011 was Samantha King. And finally, Miss Fire Austalia 2011 was Lorelee Prentice. Completing the top 10 finalists were Elise Duncan, Louise Keye, Biana Ivanoff, Jenna Seymour, Korinna Gouros, and Monique Shippen. Voted by the candidates, Miss Friendship award went to Louise Keye. Miss Environmental Speech was given to Elise Duncan. The Miss Photogenic award was won by Jenna Seymour. And the Best In Evening Gown was Charlotte Mastin.